It has been five months since the Southeast Asian Games of 2011. I have not played any football since because of my suspension. Having the game I love not to mention my livelihood taken away from me makes me feel like my life has been put on hold. I am sorry for my actions and to Filipinos everywhere who I know I let down. I am currently serving a suspension and have appealed the long-term ban that was handed out to me. Since that time, I have been cut off from my source of income. 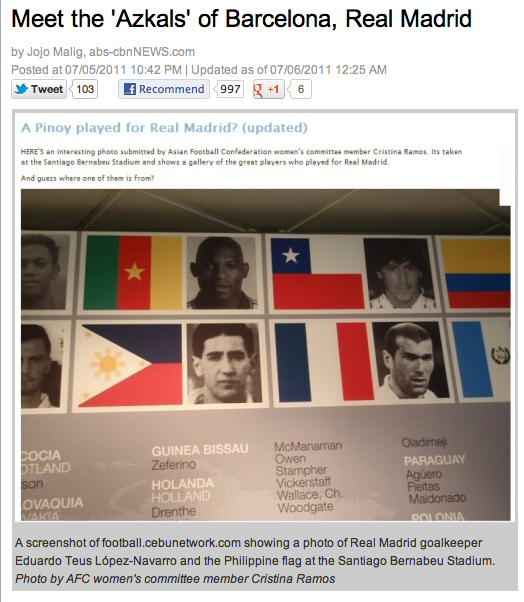 I have twice gone to the Philippine Football Federation but on both occasions they were unable to hear my appeal. My club and family have been very supportive through this difficult time but I would also like to reiterate my sincerest apologies not only to the PFF but also to the Filipino people. I am also praying for a favorable answer to my appeal. I bumped into Matthew Hartmann today at the University of Makati and I asked him for news on his appeal and he told me that there still wasn't any news. I don't know why it is taking so long but I would like to think that the Disciplinary Committee has their hands full. Refresh yourselves on why I disagree with what the PFF did. Read it here. Nevertheless, in my opinion, they should really commute that to a lesser punishment. It is just way too harsh. Matt gave me this statement to share. I do not like what he did during the SEA Games but I do believe that everyone deserves a second, third, maybe even a fourth chance (depending on the severity of the mistake, crime, or what have you). Wait 'til you find out how many other people in local football have bungled things yet are still around. I shake my head at the audacity of some to pretend that they are "the good guys" just like that certain mall that churlishly says they are. Good luck on that, Matt. Can I get the shirt -- that Coco Torre is modeling for us -- for Arnold Clavio? Can we also do a shirt for those who make up stories about blah blah blah? There's this new bit of merchandise -- shirts and pins. Check them out. For those who won in the "My UFL Starting XI" you will be receiving this shirt! You may claim after Holy Week. You the fan are the 12th man. Go out and support your fave club and the national team. Now if you're a crab or one of those who make up stories about blah blah blah then please wear a pin or shirt that says, "I am the fookin' enemy." In the meantime, I'm wearing this shirt (below) that says "Sucker for Soccer." Wearing it tomorrow afternoon when I go jogging in Ateneo . Recorded at the 23rd Floor of the Picadilly Star on Friday, March 30. We talked about those Chelsea days, re-connecting with the English club, opening the Chelsea Soccer School, the AFC Challenge Cup, and where they're going. Will post the picture later. With Phil and James Younghusband after the podcast recording. This was a long time in the making. I remember talking with Phil on the team bus on our way to My Dinh National Stadium to play Singapore and he was telling me of those days back in England. That's where I got the idea to first do this. Well that's almost two years later but better late than never, yeah? But we had fun doing this and for sure it won't be the last. Above: The view from one of the conference rooms. You can actually see the BGC Turf from here. The brothers take in the sight from the 23rd floor. Below: With Jojo Durian, James, me, Phil, Cat Rivilla, and Ton Gatmaitan. Denden Lazaro's first official interview ever. The problem is -- naputol yung podcast (my bad). I have no idea what happened to the second half and it does bother me because this is the second time it has happened. Will try to re-do that part. So consider this Part 1. But the next podcast will feature the Younghusband brothers. Sometimes it’s about being at the right place at the right time. While some people may say that Klaas Jan Huntelaar’s short stint with Real Madrid and AC Milan may be a bust one can say too, that it was finding the right fit for the Dutch striker. In Huntelaar’s few months at the Estadio Santiago de Bernabeu, the team had Ruud van Nistelrooy, Gonzalo Higuain, Raul Gonzalez, and Javier Saviola among other playing up front. Huntelaar did play 20 matches for Juande Ramos where he netted eight goals. Knowing that Los Merengues were bringing in Cristiano Ronaldo after the season, the Dutchman opted to go to AC Milan. Even as Milan once more moved to third place in Serie A, Huntelaar had a hard time with the Rossoneri. He played the same number of matches as Alexander Pato (30) but scored fewer goals – 14:7. Italian Marco Boriello and Ronaldinho led the way with 15 goals each for manager Leonardo who was in his fifth year with the club. Huntelaar’s inability to establish himself with the starting XI doomed him to the bench when Milan brought in Zlatan Ibrahimovic. And that necessitated a move to the Bundesliga, his fourth European major league after the Dutch Eredivisie, the Spanish La Liga, and the Italian Serie A. Now with Schalke 04, with van Nistelrooy is on his way out, Huntelaar has found the opportunity to show his stuff and the world that there is room for two great Dutch strikers. We all know that Rob van Persie has grabbed the spotlight in the English Premier League in terms of scoring when Ronaldo departed for Madrid. This season, van Persie, has 33 goals in all competitions for the Gunners. Huntelaar is no slouch as he has racked up 25 goals for Schalke in all competitions this year (22 in the Bundesliga). Playing atop Konigsblauen’s 4-2-3-1 formation, the Dutchman was the beneficiary of a pair of crosses that he headed home past Leverkusen keeper Bernd Leno who was betrayed by his defense who were caught watching Huntelaar and not marking him at all. Huntelaar scored in the first half when he headed in a cross from left back Christian Fuchs. With Leverkusen playing better in the second half, Schalke doubled their lead in the dying minutes when the hard working but rapidly tiring Peruvian winger Jefferson Farfan delivered a cross – this time from the right – that Huntelaar in a carbon copy of his first goal, snapped once more past Leno. Fuchs and Farfan were devastating from the wings. Their work rate and speed kept the Leverkusen defenders on their heels all match long. Leverkusen could not properly feed striker Stefan Kiessing who is the club’s leading scorers with nine goals so far. Swiss striker Eren Derdiyok is second with seven. The scoring drought is galling as despite being in fifth place, Leverkusen has only a plus three in goal difference. They did have several decent chances to score in the second half but the final touch was definitely wanting. In the meantime, Schalke looked menacing on the counter with strong wing play. Their wasted far too many chances in the middle as central mid Lewis Holtby botched a couple of shots while Raul was stopped either by Leno or by poor finishing. Konigsblauen head coach Huub Stevens did not looked pleased as his side, needing the three points and more goals to make up the chasm between his side and Dortmund and Bayern Munich that are leading the way respectively in the standings. The 2-0 win gave Schalke a 17-2-8 record good for solo third in the Bundesliga but Dortmund is nine points clear of them (Munich is five off). Schalke would love nothing more than to keep Huntelaar in his royal blues (ditto with Raul for at least one more year). And I guess, good things come to those who wait. In Huntelaar’s case, it’s being at the right club at the right time. The action before the rainfall that turned some teams' fortunes around. Ateneo Football League Week One. 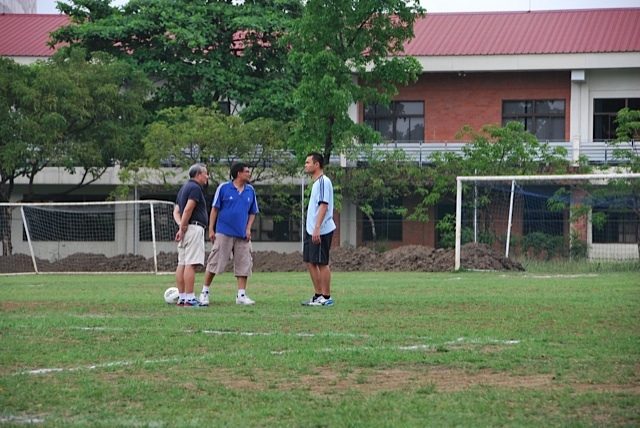 Ocampo Field, Ateneo de Manila University. 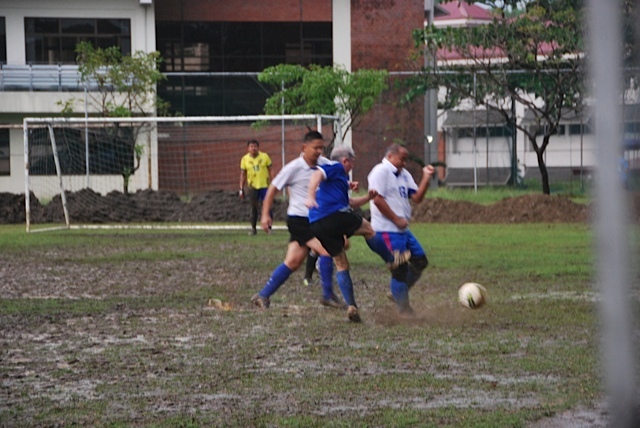 Twenty-two of the 44 teams saw action on Opening Day of the Ateneo Football League’s second season. The day began with overcast skies and a hint of rain. By kick-off time at 2:30pm, it was good weather. By halftime of the first games, the Ocampo Field had turned into a quagmire where players had to slog through where the ball didn’t travel far in the mud, and where the slippery conditions changed the fortunes of some teams. In the first game of the Mixed Fun Division, FC FLP took a two goals to none lead against Ana Com United 3 in the first half with some terrific finishing. They narrowly missed adding a third goal as they found the back of the net with a long-range strike except that the halftime whistle blew a second before the shot was taken. FC FLP would rue that missed goal as Ana Com United 3 came roaring back in the second half with three unanswered goals. The match winner came when FLP’s keeper dropped the ball and Ana Com's Jon Nazario booted the ball in right before the final whistle for an incredible come from behind 3-2 win. It was the only win of the three Ana Com teams as Ana Com United 1 lost to Ateneo Med School 3-0 and Ana Com United 2 was thrashed by Budacamp 12-0. In the 30-and-Below Division, Los Tontos, with former varsity players Roger Lastimado and Alvin Perez in tow, beat Atletico San Juan Valentin 8-1. Los Tontos had a clean sheet going until a switch in goalkeepers where Perez moved as netminder while the regular GK Miguel Villadolid went out. San Juan Valentin salvaged a measure of pride when they pulled back one. Gaffer, with its players from last year’s champions Outlaws, made short work of Atelier 11-0. 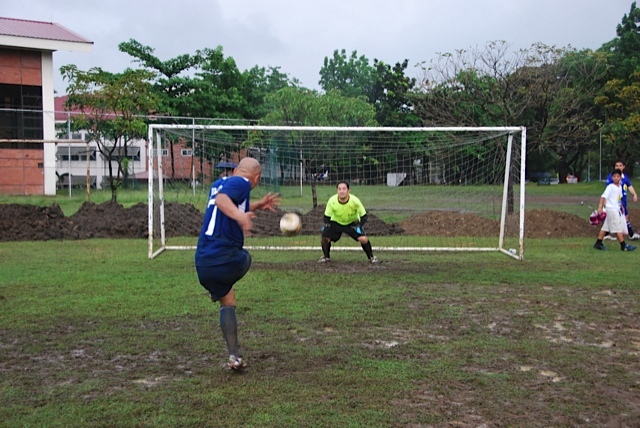 Juan Sanz SJ FC (named after a former Ateneo Spanish Jesuit priest), with its mixture of Ateneo de Manila and Ateneo de Naga players pounced on a depleted Psykicks squad for a 7-2 win in the 31-and Above Division. In the other Seniors Division match, Oscariz defeated Blue Guards (that once more during Opening Day did not have any bench to speak of), 4-2. Blue Guards had several opportunities to not only equalize but to also take the lead but they muffed their shots. In the HS/College Division, defending champion Aria got off to a good start on their title retention bid when piped Schlubig 2-1 while Bacchus, with their futsal players, crushed the FC 2011 with the score of 9-1. FLP was in control of the match until the rains fell and they conceded three second half goals for a loss. Team Freedom's Martin Lichauco (second from left): O, inuman na! Blue Guards' Mike McCloud attempts to send the ball on the overlap but not if my cousin Chito Caluag (playing for Oscariz) can help it. Psykicks was missing a lot of players to injury and unavailability. Glenver Gregorio (in orange) did the coaching with some assists from Paolo Bediones. They did salvage some measure of pride by scoring two goals against Juan Sanz SJ (the team from Ateneo de Manila and Ateneo de Naga). 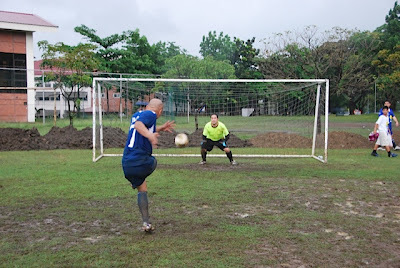 Ebong Joson scored on his penalty kick to get Team Freedom back in the game against AGS85 Puzakals. Last year's Ateneo High School Jubilarian Batch lost, 5-4. AFL Three: Jerry Ngo, me, and Rely San Agustin. I loved Michael Lewis' Moneyball even if I think that it still doesn't work -- hey, what have the Oakland A's have to show for it? And I certainly loved Buzz Bissinger's "3 Nights in August" that is about a three-game series between the St. Louis Cardinals and the Chicago Cubs from the point of view of Cards' manager Tony LaRussa. The other day, I picked up this book at Booksale for P20!Yep, T W E N T Y B U C K S!!! It's about that 163rd game of the 1978 Major League Baseball season that was a tie-breaker for the American League East title between the New York Yankees and the Boston Red Sox. New York was 14 games out of first place when they rallied in the last month to go ahead of the Red Sox. Boston battled back on the last day to even up matters with a 99-63 record. In order to decide the title, both clubs figured in a winner-take-all match at Fenway Park. 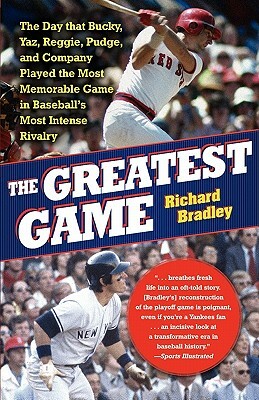 I realize that Bradley, the author and the editor, committed huge mistakes especially when it comes to statistics and while I realize that, I am more into the backstory where they look at either inning from both teams' POV. This is for fans of the game. This appears in the Monday, March 26, 2012 edition of the Business Mirror. Bountygate: what comes around goes around. It was certainly disappointing to see New Orleans head coach Sean Payton attempt to cover up the scheme and general manager Mickey Loomis fail to end it despite being told by the team’s ownership to do so, hence, warranting the most severe sanctions ever levied upon a team in the NFL -- Williams was suspended indefinitely, Payton for one season, and Loomis for eight matches. What makes it even worse is how poor the team’s management has responded to this issue that from the very beginning of its inception, is a landmine of disastrous proportions. Bountygate is to pro American Football what the Penn State sexual abuse scandal is to the college version. With Bountygate far from over (I believe that NFL Commissioner Roger Goodell isn’t done levying fines and suspensions to the New Orleans Saints players), I am wondering if the Saints are the only ones that play bounties. And furthermore, will the other teams try to get back at the Saints now that they’ve been busted for their dirty play. One thing is for sure, the league will be scrutinizing every dirty and rough play with eagle eyes. Charles Martin after he leveled Jim McMahon. And McMahon was referring to the illegal hit by the late Green Bay Packer Charles Martin on him during a November 1986 game (Week 12 at Soldier Field) where the defensive end body slammed the Chicago QB two seconds after the play had ended. 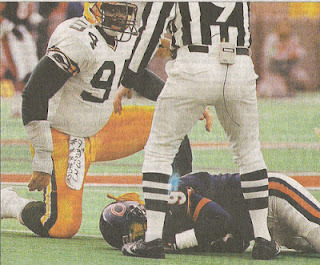 McMahon was already playing hurt and although he finished the game, a 12-10 victory for the Bears, he was out after that and battled a series of recurring injuries. What caught me then was seeing martin’s towel that was dangling from his game pants. Written on the towel were players that Martin (and maybe the other Packers were gunning for) – McMahon, wide receivers Willie Gault and Dennis Gentry, running back Walter Payton, and center Jay Hilgenberg. Martin was sent off and levied a two-match suspension and a $15,000 fine (that was huge back then). McMahon would battle a series of injuries over the remainder of his career. Ironically, he won a second Super Bowl title as a part of the 1996 Green Bay Packers. If there were injuries along the way, they were unfortunate incidents. The sight of seeing Washington QB Joe Theismann going down and breaking his leg after a sack by New York Giant LB Lawrence Taylor and getting piled on by Harry Carson and Gary Reasons is sickening. Theismann never played another down in his life but he never blamed Taylor for what happened. Bountygate is something altogether different. It is the work of sick minds. So much for sportsmanship when you are trying to take someone away from their livelihood. And NFL Network analyst Warren Sapp (who himself was the subject of many a fine for his rough play) is upset that there was a snitch? He looks like those idiot Packers who high-fived Charles Martin after he put Jim McMahon to the turf. A snitch inside the locker room is not welcome but so is Bountygate that breaks an unwritten code for players where you do not try to end another's career. Is Sapp trying to infer that Bountygate is okay? Can someone take out… Sapp’s social media networks? I applaud Roger Goodell for the stiff penalties on the Saints. The sad thing is Bountygate began during the Saints’ 2009 Super Bowl season and that somewhat taints the victory. That was one of the all-time great wins in NFL history and for the state of Louisiana. It's a feel good story post-Hurricane Katrina. However, reading the investigative report on Bountygate just makes me sick and if the victims of these vicious and dirty hits take legal action then it is deserved. And now there are words of regret from Payton and Williams? If they weren’t caught I’m going to bet that they wouldn’t be as contrite. 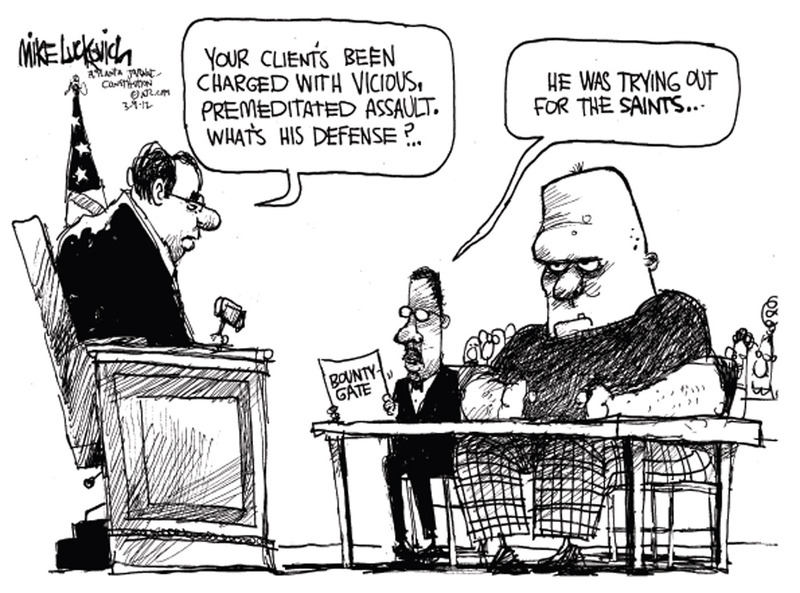 The NFL has been beset by many of these suits of late and no doubt, Goodell will want to end this bounty system. Gregg Williams has been suspended indefinitely. I hope he has saved a lot of money because he’ll be blitzed by a bunch of suits carrying lawsuits. And when these players who participated in Bountygate are revealed, it is going to be much worse for them than Charles Martin’s hit list on a towel. 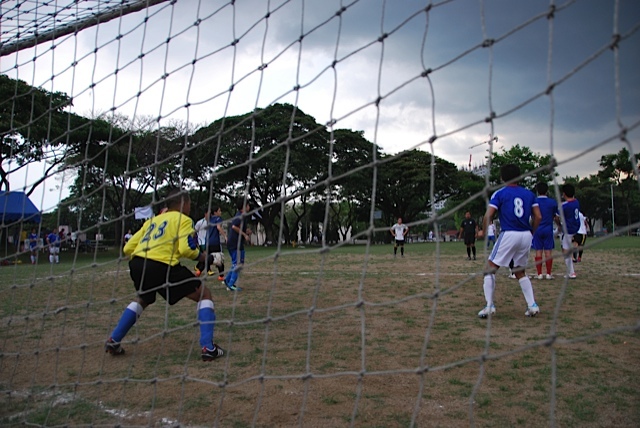 This Saturday, the Ateneo Football League opens its second season. And my bud Rely and I will be taking a leave from our AKTV duty to be there for Opening Day. Soon enough the players, my fellow Ateneo alumni started arriving. They had their families, friends, girlfriends, boyfriends, and even dogs with them. I remember acting like some Real Estate manager welcoming everyone, shaking their hands. I was there for two weekends before I was called away as Media Officer for the Suzuki Under-23 National Cup. This year, this summer, I have decided to stay home to give time to the AFL and of course, my other work. I am saving money as well for the coming school year (tuition fees are going to bite me) and a couple of trips abroad (Mongolia is one of them). This second season, it is with great pride that we announce that we have 44 teams signed up. And that’s at least 800 players (since we have at least 20 per team). When we fix our high school and college divisions we can expect even more for the third season. But that’s a year away. This is now and kick off is in two days’ time. There are at least 21 teams that are back for a second go-around. Teams have begun to form themselves and hopefully, form a real club. Last year, Outlaws won this Division with former Ateneo Booter Gino Tongson coming away with the MVP Award. The team has now morphed into Gaffer FC albeit without Tongson. Can they repeat? And off the bat, Boj Kohouty, Mang Chester United, and Ramrod look like contenders for the title with their lineup of UAAP players. Los Tontos should also give them a run for their money if they play to their capabilities. And I am greatly interested in seeing Kirk Long play for Pontis. Three-sport star in the making? We’ll find out. The Loyola Agila team, the defending champions for this Division, is clearly the one to beat here with Dom Samson, Blue and Red Avelino, Paul Arcenas, Ernie Nierras, and Joey Prats to name a few. The other clubs will battle for sure but I do have to wonder how Psykicks will do this year without their inspirational leader Ebong Joson who left to join his Ateneo batchmates in another division with Team Freedom (Batch ’86 EDSA I in case you do not know your Philippine history). Psykicks will still have Bob Guerrero at goal. Hopefully, Paolo Bediones can play longer minutes and feature the AFL on TV too! Hahaha. Team Co. Jones has an interesting lineup. 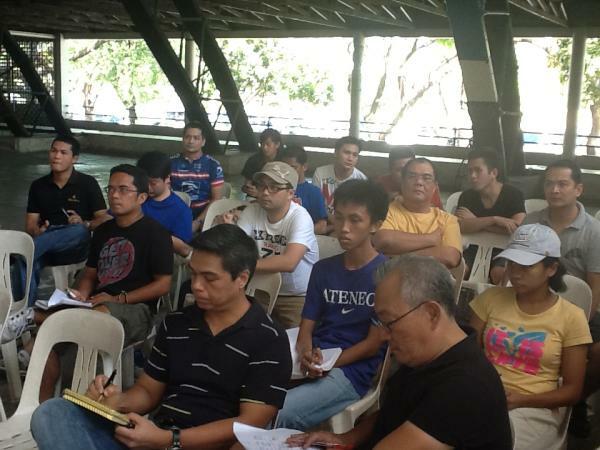 Paolo Cagalingan, my old bud from Mizuno is there. National Sports Grill owner and former Ateneo booter Ponch Zamora is listed as well. There’s Chito Ines, JP Ingles, and Tojun Malvar. Good luck, guys! This is going to be the most fun division as teams will field mixed men’s-women’s lineups at all times. Ana Comm United is such a huge club that they split into three teams! If there are any injuries, I hope that the Ateneo Med School team should not only be good on the pitch but can also help the medics! But thanks for joining. Azukals and Budacamp are laden with UAAP Women’s players (past and present). Caf Bench looks to have gotten better with the addition of batchmate Franz Bonoan. 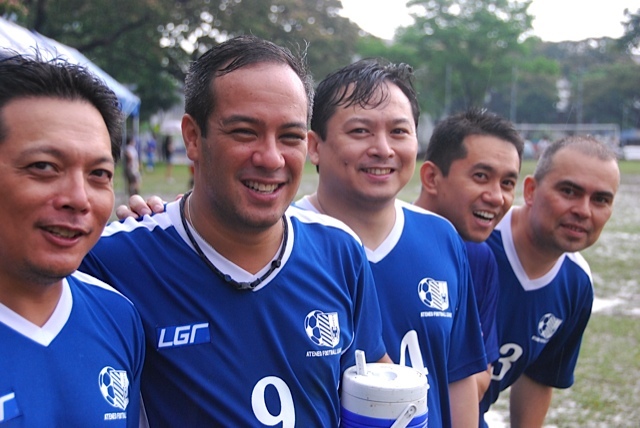 They still have Carlo Kintanar, TJ Manotoc (who scored one of the memorable goals of the tournament last season), Teo Ocampo, Duane Tumale and company. In my opinion, Human Beings should change their name to Tanjuatco FC and My Tunes to Achacoso FC. Hahaha. It’s a Tanjuatco and Achacoso family affair respectively! Happy that we have two corporate clubs in Makati Medical Center and the Proctor and Gamble teams. Heto yung walang bigayan na laban. Puro former varsity. You’ve also got Jesuit priests playing. It was a disappointing first season for Blue Guards but they will adjust to the seven-a-side game rather than the full field 11-a-side game. Will Bert Honasan finally play? Hahaha. Good question, coach. Oscariz, if and when they are complete, should be a challenger. But the darkhorse challenger here is Team Freedom 86. Can they recreate the magic of decades past? We’ll find out. The Puzakals… these guys are good. This is going to be a competitive division. Aria is the defending champion here and personally, I would love to see Jaime Fabregas’ son, Leandro (who is in the Ateneo seniors team) show his stuff more with Aria so he’d get more playing time next season in the UAAP. Expect Bacchus, Schlubig, and the FC to crowd Aria for the title with Tapulan United a darkhorse contender. 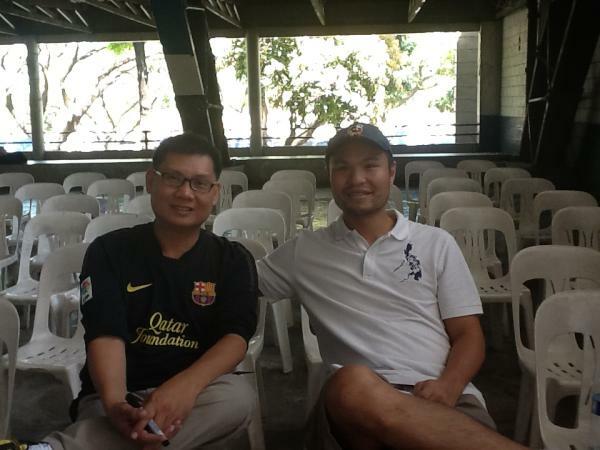 With me bud and co-AFL Director Rely San Agustin before last month's General Assembly at the Blue Eagle Gym. In case you don't know, Rels was the first ever recipient of the Moro Lorenzo Award (given by the school). I think triathlete Noy Jopson was the second. Rels, bactmate ba kayo ni Noy? 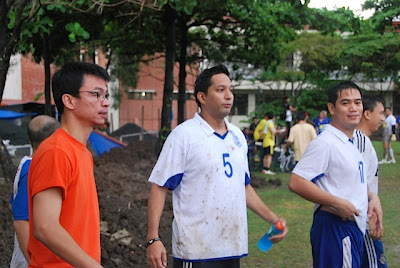 Former Ateneo goalkeeper Jerry Ngo (back in the NCAA days) is our Tournament Director. 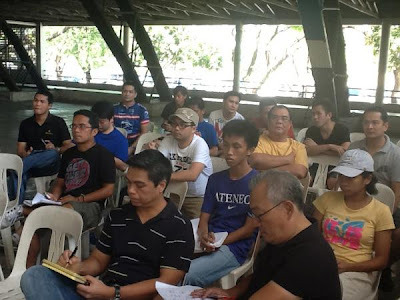 This pic was snapped during the GA where we had more than 25 team reps come in attendance. What is it? Or what it is. Let’s get this out of the way… I am a firm believer in a strong grassroots football program that will give chances for our homegrown players to be world-class. I also believe that match officials should be respected in and out of the locker room. And I am unequivocally against sexual harassment and racism. I have experienced the latter while working abroad and truly bristle at the mere mention of it but this is not about me. It’s about this seemingly interminable complaint of Ms. Cristina Ramos about being sexually harassed by a couple of members of the Philippine Men’s Football National Team during a routine inspection of the players inside their locker room prior to the recent friendly match against Malaysia. I grimaced when I heard of the incident. Oh, no. I thought to myself. What happened? Is this for real? When I read of her complaint that came out in media, I once more grimaced. Why did this happen, I asked? Is this for real? One thing is for sure and that is we do not know all the facts and whatever is out there is pretty much one-sided. Again I do not condone sexual harassment or racism in any form but I do believe that due process and protocol should be followed. Having worked with Ms. Ramos in the local organizing committee for the past two home matches of the national team, she was a joy to work with for her thoroughness, candor, and her energy. She reiterated time and again to the Local Organizing Committee (LOC) of which I was a part of about adhering to the rules as well as following protocol and processes. And in my opinion, there lies part of the problem. Immediately after her inspection of the Philippine national team, she seemed distressed and upset. She went to the match commissioner’s room where some of the secretariat and the LOC members were to inform them about “being disrespected”. She was advised to include in her report her complaint. The following day, she met up with Philippine Football Federation (PFF) president Mariano V. Araneta during the PFF-UFL (United Football League) Fellowship Night to do the same. Now what shocked everyone was why and how she filed the report to the Asian Football Confederation (AFC) and not the PFF. She said that the PFF office was closed the following day so she took it to AFC. For someone who says she is a stickler for protocol she sure broke it right there. If her complaint is being blocked and whitewashed locally, I can understand taking it to the press. But it is not. The PFF hired her to serve as Match Commissioner not the AFC. And as per Fédération Internationale de Football Association (FIFA) and AFC rules, Match Commissioners should not talk to the media. Two days after the incident, she met with the PFF’s Araneta and General Secretary Rolly Tulay about the incident and it was there that she informed them that she had already informed the media about her complaint. I know media officers are not supposed to talk about any incidents for up to 48 hours after the end of their assignment and I don’t know if that applies to Match Commissioners but nevertheless, this – again no one is whitewashing anything – matter should have been resolved from within. In that same meeting, she also asked if the PFF was willing, to be assigned as Match Commissioner in the next home match so she could discipline the team! Her complaint also came out with the players not in town and unable to defend themselves. If the players are found guilty then I say that they should be punished in a manner that fits their folly. Whatever the rulings and findings are, I would like to think that they will be based on facts and whatever legalese you might want to thrown in. But as it is, they were already tried by publicity. Ms. Ramos has gone on the offensive in media and social media about the issue. Now here are a few things that I have to throw into the mix to gain further perspective on things. 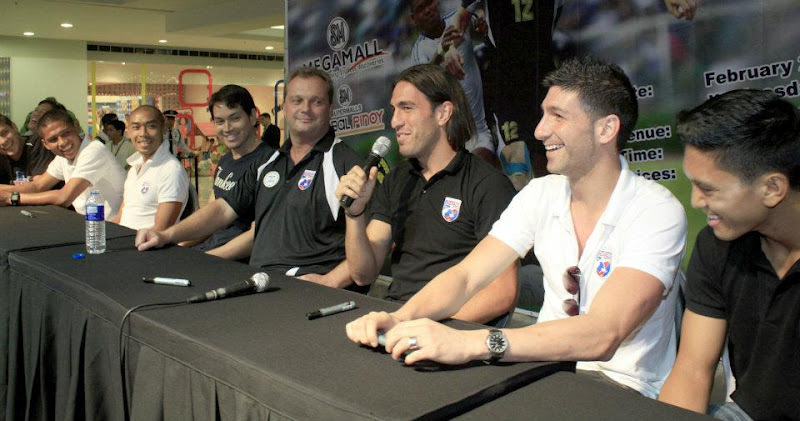 On Friday, February 24, five days before the match against Malaysia, a Pep Rally for the Azkals was held at the SM Megamall. After the match, the LOC and the players trooped to the nearby Kenny Rogers restaurant for dinner. During that dinner, Ms. Ramos blurted out to the committee (the Azkals were seated nearby but I don’t think they heard the diatribe), “What’s with this, ‘I’m from Chinatown, New York’ and ‘I’m from Spain’. Why don’t they just say that they are Filipino?” She then asked the team’s PR liaison officer Patrick Ace Bright if the team was put through etiquette and public speaking courses. I answered her, “What is wrong with what they said?” Obviously, she was referring to Azkals midfielders Lexton Moy and Angel Guirado. I told her not to take this out of context. During the fan session of the Pep Rally, LOC head Richard Joson asked the players to introduce themselves. Azkals wingback Roel Gener led it off. That was followed by Iranian-Filipino Misagh Bahadoran who said that although he was born in the Philippines, he didn’t speak English and Filipino well. Moy, the fourth player to speak, followed the pattern of introduction while Guirado was one of the last. Take a gander at the order of the Azkals during the Pep Rally: Roel Gener, Misagh Bahadoran, Eduard Sacapaño, Lexton Moy, Aly Borromeo, Michael Weiss, Angel and Juani Guirado, and Jason Sabio. Not in the picture is Dennis Wolf. The Younghusband brothers arrived late and sat on the opposite ends. Now this might be a stand-alone episode. Yet it also might not because she also decried the team’s “Fil-foreigner flavor” to many of us in the LOC and anyone involved in local football willing to listen. In fact, during the post-Malaysia match press conference, she spoke with one of the press officers about how the team should be represented by locals and not the Fil-foreigners. I cited how the German National Football Team is beset with similar problems with the influx of players of foreign descent like Mesut Ozil (who has Turkish roots), Sami Khedira (whose father is Tunisian), Mario Gomez (whose father is Spanish), and Jerome Boateng (whose father is Ghanaian and his brother Kevin Prince plays for the Black Stars). They are not alone in that respect. France has featured a multi-racial squad for years with some born domestically while others originating from former colonies. Are they violating any rules? No they are not. It is prescribed not just with FIFA but also with almost every other sports body in the world. We are unlike other countries like Qatar that opt for naturalization as opposed to utilizing citizens with dual citizenship. 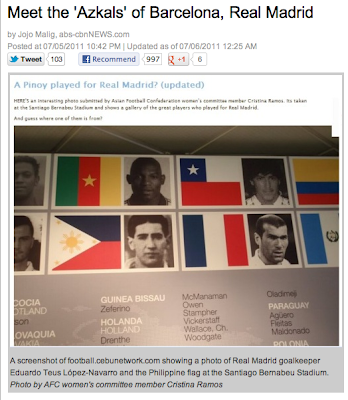 Incredibly, sometime last year, Ms. Ramos was raving to me about Eduardo Teus, a Filipino who played for Real Madrid! She even took a picture of it and placed it on her Facebook account. I have no idea if Teus’ mother was Filipina but he was born in the Philippines. But former basketball star, Alex Compton, who was born in Makati City, is not considered a Filipino and was refused play in the PBA until he was in the twilight of his career. Read the caption of the screen shot. When the national team arrives, Moy and Guirado will be given 48 hours to file their reports about the incident. The PFF, which has followed protocol on this situation, says that this has gone on too long and they hope it can come to a resolution. Unfortunately, it doesn’t look like this one is going to end any time soon. Who is a true Filipino? History books have shown us that the first the first occupants of the Philippines were the Callao and Tabon men, the Negrito tribes, and those who left Borneo, China, India, and other countries. Having been colonized and occupied by the Spanish, Dutch, English, and Americans, ours is a mixed race. I find it funny that Clavio thinks the “kayumanggi” race is who we are? Should the Aetas be insulted by his comment? Someone asked if Lexton Moy and Angel Guirado were given a chance to suit up for the national teams of the United States or Spain, would they play there? I think you go where you think it is best for you. Just like many of our countrymen who opt to work abroad as opposed to staying home. Where is it best for you? And why stop at football? Take a look at pro basketball as well as our national teams for tennis, swimming, and what else – they have many Filipinos of foreign lineage. We are quick to embrace anyone with an ounce of Filipino blood as Filipino. You saw that during American Idol. And we see that in showbiz. How many are of foreign lineage? But when someone, say like Matthew Hartmann or Anjanette Abayari does something wrong, we say, “Go back to where you came from?” And we add, “Ah, kasi puti o Amerikano.” Where did that come from? The world is a much smaller place. Made smaller by immigration, technology, and business. Look at the New York Knicks’ wunderkind, Jeremy Lin. Will he crack the lineup of the US Men’s National Basketball Team? For his position, point guard, the Americans are at least four deep. So does he play for his parents’ country of origin, Taiwan? I think we should be a little more broad-minded when it comes to these matters. That and adhering to protocol rather than trial by publicity. The last I checked, everyone is innocent until proven guilty. Chelsea FC Soccer School to open in the Philippines! 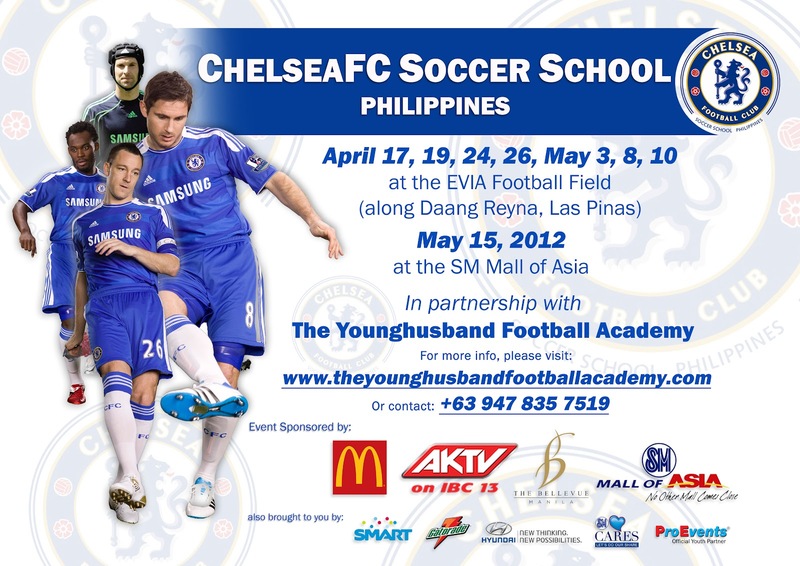 Chelsea FC, one of the world’s biggest football clubs with a history of excellence and achievement, will be opening a soccer school in partnership with The Younghusband Football Academy, the first ever of its kind, in the Philippines this May 15th, 2012. Chelsea, which is a team that is full of world-class footballers like Didier Drogba, John Terry, Frank Lampard, and Fernando Torres, will be tapping current Philippine national team and Loyola Meralco Sparks mainstays James and Phil Younghusband to spearhead this English club’s initial foray in the Philippines. The Younghusband brothers were Chelsea Academy team players under former managers Gianluca Vialli and Jose Mourinho. In 2005, Mourinho included Phil in his pre-season squad after he finished as their youth team’s top scorer in the previous season. Aside from their national team and club duties, the brothers also run The Younghusband Football Academy, now in its third year of grassroots football development in the country. Prior to the official launch of The Chelsea FC Soccer School there will be a Chelsea FC Soccer School summer camp powered by The Younghusband Football Academy and will have a limited number of slots for intermediate and advanced football training that will also be overseen by some of the club’s coaches. The age groups will be divided as follows Under-8, U-10, U-12, and U-16 for boys and girls. The Younghusband Football Academy summer camp will be held at the Evia Football Field in Las Piñas on April 17, 19, 24, 26 as well as on May 3, 8, and10. The culminating activity, the Official Launch of the Chelsea Soccer School, will be held on May 15 at the SM Mall of Asia. For more information about The Chelsea FC Soccer School, please visit www.theyounghusbandfootballacademy.com or contact 09478357519. Chelsea FC was founded in 1905 by Henry Augustus Mears. Home games are played at Stamford Bridge stadium, the original site Mears chose for the club. The team had mixed fortunes over the years, not winning a major trophy until the 1950s and moving up and down between divisions several times. The Blues improved their standing since the 1990s to become one of the most successful clubs in English football. They won English Premier League titles in 2004–05 and 2005–06, adding to their only previous league win, in 1954–55 (then in the Football League First Division), and making them the second English team to win consecutive championships since the founding of the Premier League in 1992. Chelsea added a fourth league title in 2009–10, setting a new Premier League record by scoring 103 goals over the course of the season. They took the European Cup Winners’ Cup in 1971 and 1998 and the Union of European Football Associations (UEFA) Super Cup in 1998. Chelsea FC won the Football Association Challenge Cup (FA Cup) six times—in 1970, 1997, 2000, 2007, 2009, and 2010. The Younghusband Football Academy is a series of enhancement clinics for football skills around the Philippines. Philippine National Football Team players and brothers James and Phil Younghusband who both played for Chelsea FC, one of the largest football clubs in the world, established TYFA in January 2010. Both have UEFA coaching credentials with Phil having a level 2 UEFA coaching badge and James having a level 1 UEFA coaching badge.